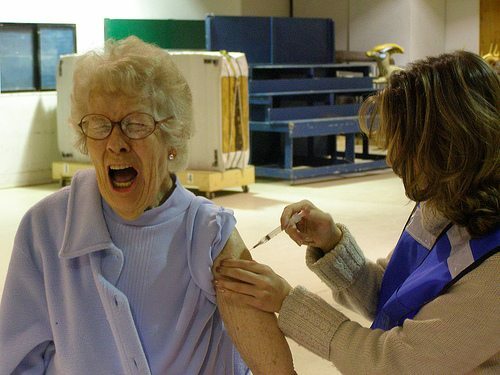 Is the current flu vaccine bad public policy, that fails year after year to save lives. Sure, you know the narrative, that children and older adults should have this vaccination that is based on 3-4 strains found in Asia the year before and we are using 50 year old methods to manufacturing it. True, the right strain of the flu can be deadly which will not help if they vaccinate the public with the wrong strains. You can also be vaccinated by being in public places, allowing yourself to be exposed. This will work for most viruses however, if a deadly strain were to occur, this can be a catastrophe. There is another way, that may require a rethinking of our current policies and technologies. We can develop a flu vaccine that gives us immunity to the flu itself, rather than to a particular strain of it. We should use our current budgeting that is currently using public money to develop a universal flu vaccine. This way, if a deadly strain were to ever arrive, we would be immune to its effects. It’s September 1918 at Camp Funston, in central Kansas, a young soldier is awaiting his departure to France to fight in World War 1. One night he feels chills, spikes a fever. The next day he notices a bluish tint to his skin. Within a week he’s dead — suffocating from fluid in his lungs. Many historians speculate that the “Spanish Flu” actually began in Kansas. But the 1918 pandemic killed more people in one year than AIDS has killed in 40 years, more than the bubonic plague killed in a century. Today, 100 years later, we cannot say we are immune to a similar outbreak. Question: Would we accept a jumbo jet with 500 people on board crashing to earth 1,000 times every year? Of course not. We would demand a better effort from industry and government to save those 500,000 lives worldwide per year. Somehow, 12,000 to 65,000 deaths from the influenza virus each year in the U.S. alone has become acceptable to us. In fact, last year was the worst flu season in 40 years — 80,000 flu-related deaths, according to the Centers for Disease Control and Prevention.